Welcome to The Carpet Store Inc.
For years we have been serving the needs of our customers throughout Ohio by providing quality flooring solutions. 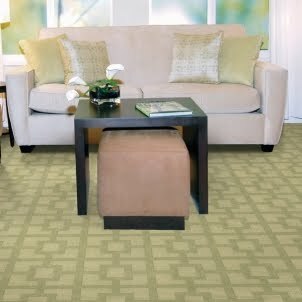 We have hundreds of rolls of carpet of every color and type to help you in your home decorating plans. You can select from plain, floral and patterned carpet in beautiful hues and colors that are suited to your existing décor. In addition to carpet, we also provide customized flooring installations that will beautifully complement any area in your home. Your floors will be the envy of your guests as you decorate with only the finest mahogany hardwood floors, or ceramic patterned tile to give your home a look of sophistication and elegance. In addition, if you are unsure of what type of flooring to select, simply speak with one of our experienced professionals who can guide you through every step of the selection process. We have years of experience providing customized carpet and flooring solutions to meet the needs of our customers throughout Dayton, Centerville, Beavercreek OH and the surrounding areas. Whether you need laminate, ceramic, carpet, vinyl, or new hardwood floors, The Carpet Store Inc. has a solution for you. Contact us today for more information or visit our showroom to view our extensive selection of flooring. One of our specialists will assist you with making the choice that is best matched to your existing interior décor.